Despite Trump trying to announce the New American Republic, the UN prevented the use of their “UN Legal presence” franchises in such ways. Happy UN-Dependence Day! July 4th, 1776, on this day in -the newly formed Capital of the United States of America- Philadelphia, Commonwealth of Pennsylvania, 55 men created the Organic Constitution for the United States of America. 35 of the 55 Founding Fathers were lawyers. The American Sovereignty Experiment only lasted 7 years until King George “won.” In December 1800, the United States of America was first incorporated. It had several iterations before it went bankrupt under President Lincoln, the First Temple Crown BAR Attorney to ever be president. He was apparently murdered for issuing his own debt called Greenbacks. JFK was also apparently murdered for going against the City of London Debt as Money Franchise as well. 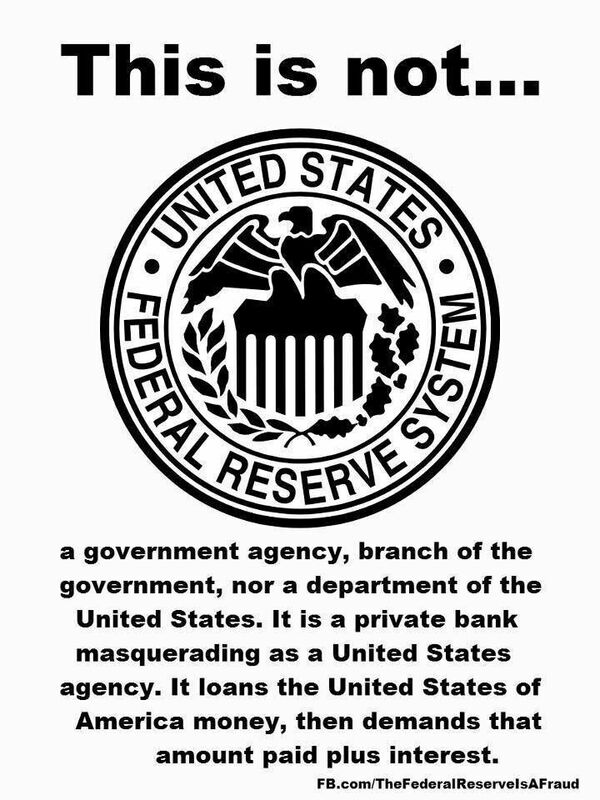 Then in 1913, The Federal Reserve Act was passed implementing the Third US Central Bank and most insidious of them all. The Entire Bankrupt Incorporated United States of America of 1871 was bankrupted again within 20 years by Federal Reserve manipulations. In 1933, the United States Corporation officially went bankrupt. The implementation of Statutory U.C.C. slavery code was then executed as administration of the bankruptcy of the United States. In 1938 Erie Rail Road V. Tompkins ushered in the whole nonexistent body of Statutory Corporate Code Rule. Statutory Code is a bastardization of maritime-admiralty law. All Courts were converted into “courts of equity.” The problem is that all legal precedence had to be scrapped and restarted in 1938. All legal reference to legal precedence prior to 1938 is a sign of deception and legal incompetence. Actual Federal Statutory Code only lasted until 1948 when the UN became the ONLY franchiser of legal presences globally. All UN Member-Nations lost their “Nation” status when they became “member-nations.” A Member-Nation is not a Nation; It’s a member. 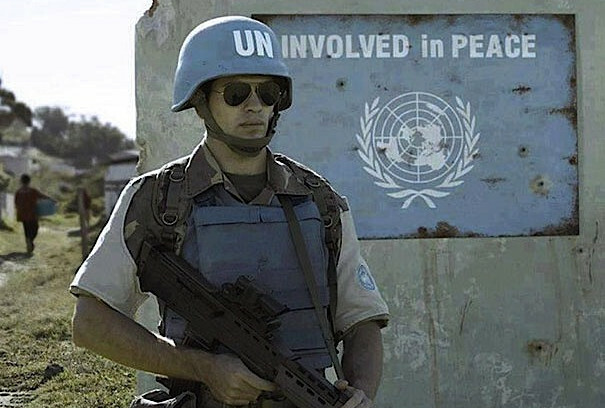 The UN is the League of Nations operating in bankruptcy. This allows them to FORCE all member-nations to comply with their orders and debt financial obligations. Member-Nations are not executors of their own nation, they are the beneficiary of the UN’s licenses and operate at the sufferance of the UN and the UN PERSONHOOD franchise. The UN replaced all Courtrooms globally with Competent National Tribunals. This was an effect of World War 2. Where the abolishment of Slavery with the 13th Constitutional Amendment happened by making slavery non-discriminatory as “federal Citizens,” The UN perpetuated World War on humanity by making World War 2 non-discriminatory upon all humans by forcing them into “legal presences.” Furthermore, where the District of Columbia formed from the Bankruptcy of the unincorporated United States, and DC became subordinate to the International bankers by bankruptcy in 1933, the UN operates everything from TRUST LAW – EXECUTOR RECEIVERSHIP. They have assumed the POWER OF ASSUMPTION over all humans and all human rights. 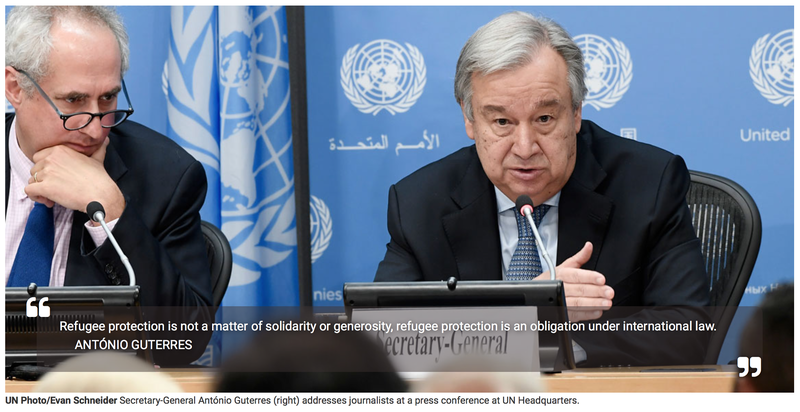 The UN has usurped all human rights by TITLING them, underwriting the rights as property and then with debt that they issue. The PERSON Constitution is the UN Universal Declaration of Human Rights and it supersedes the US Constitution in all ways. The US take-over by the UN was legally complete in 1948. The price for the “United States Governmental Service Corporation” to license the UN PERSON franchise is surrender of the Birth Certificates. 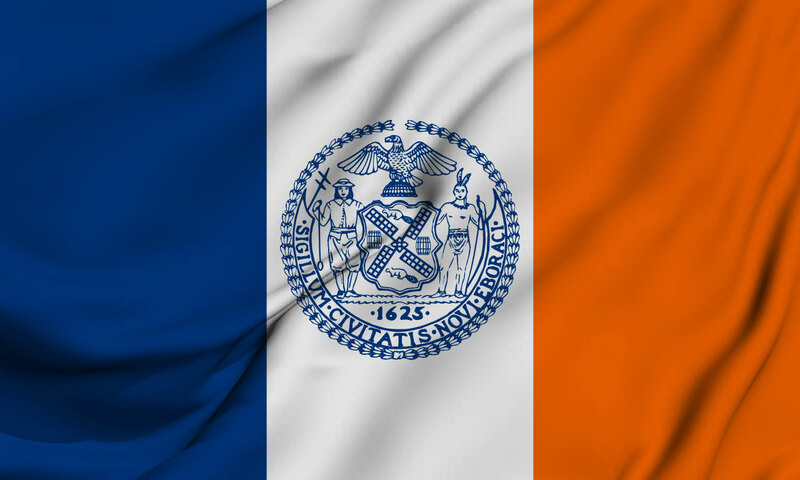 New York City-State Flag. Usurping the history to make it look like it is the same as it was when the structure totally changed in 1946. It is also important to observe that New York City is the sovereign City-State of the UNITED NATIONS. New York is individuated from the United States just like DC. Their Police Forces are UN based and independent. New York City issues their own birth certificates just like DC. Donald Trump has a New York City-State Birth Certificate. Rudolph Giuliani stated that “New York is the Capital of the World.” He was correct. New York City is its own Governmental Services Corporation just like Washington DC. The UN owns New York City. It is their territory. That’s why all the banks are incorporated there and are thus independent from regulation and prosecution of the United States. The Organic America died and the death/bankruptcy also “passed” in 1783, 1800, 1871, 1913, 1933, and again in 1948. The UN has made everyone dependent upon them for all human rights.